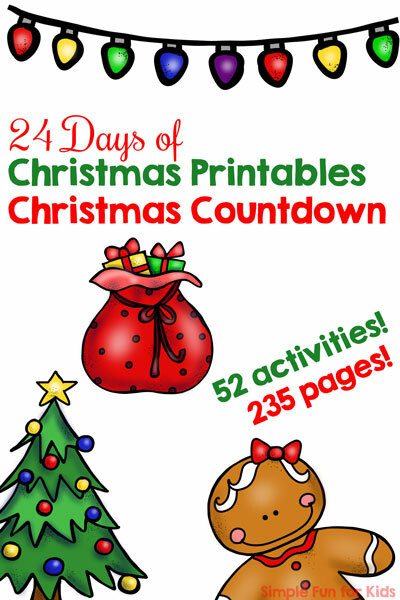 Welcome to day 7 of the 24 Days of Christmas Printables for Toddlers! We’re getting started on letter recognition here with 2-year-old N, and what better way than to use a matching game? 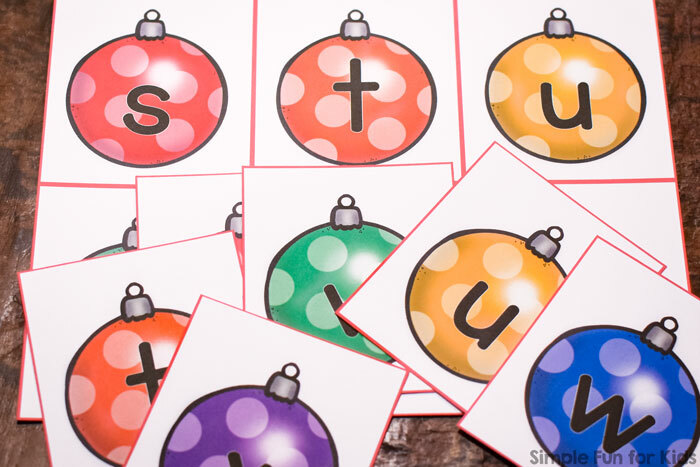 This Christmas Ornament Lower Case Letter Matching Game includes the entire lower case alphabet, and the last page is editable, so you can add numbers or custom combinations of letters. Laminator and 2 or more laminating pouches (depending on how many pages you print). 2 or more sheets of heavy paper. 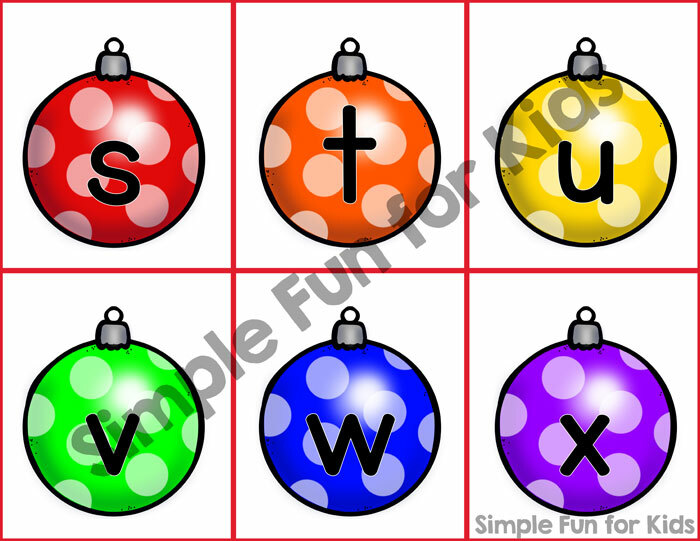 There are 5 pages with Christmas ornaments in rainbow colors and all of the lower case letters of the alphabet. The last page is editable with the first two ornaments pre-filled with the letters y and z. You can use this page for custom letter combinations, numbers or other things you want to work on. Print two copies of one page, laminate them, and cut up one or both copies at the red lines. Discuss the letters and colors and match the ornaments. 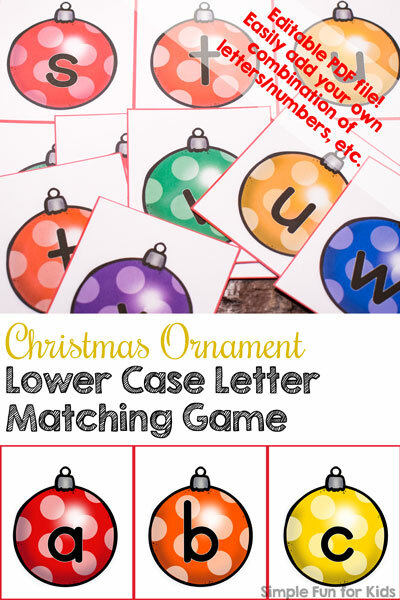 Download your Christmas Ornament Lower Case Letter Matching Game!